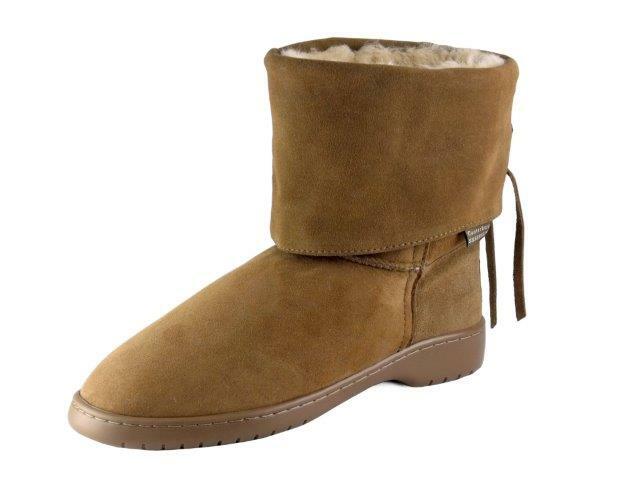 Canterbury Sheepskin have been making New Zealand Sheepskin boots since 1974. Luxurious genuine sheepskin of a premium quality, handmade and crafted to last! I was sent a pair of Robyn Sheepskin boots to review a few weeks ago. 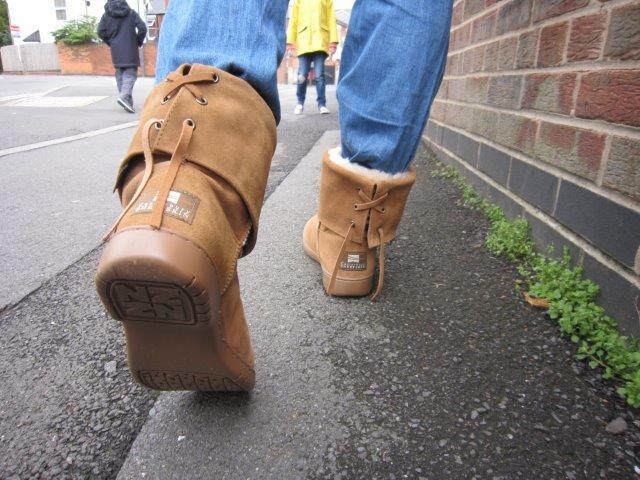 I’m going to admit something of a fashion faux pas, I’ve never really liked ugg style boots! I say ugg in the New Zealand sense of categorisation rather than any particular brand name. It isn’t that I can’t see a practicality in them, especially during the long bitter winters we’ve been experiencing in recent years. It’s more that I feel the standard design lacks any sense of style, thin soles that don’t look fit to support a foots natural arch and perhaps an even worse crime, they make my feet look huge!! However when Canterbury Sheepskin approached me I was pleasantly surprised, while they do produce more traditional boot designs they also have many with a real fashion edge. In my opinion the Robyn boot is one of those. After several weeks I’ve broken down my thoughts into the following categories. I adored the Robyn boot instantly, a wide cuff decorated with delicate lacing at the back, this adds an element lacking in simpler designs but without being overstated. The wide cuff and sole also serve to narrow down the ankle meaning that your own foot doesn’t appear larger than it actually is. The sole of the boot is also a revelation, a proper tread with heel and arch support. Imagine a luxurious pair of cushions snuggled against your feet and you can just about imagine the sensation of wearing these boots. They are so comfortable that it almost feels wrong to wear them outside. The insides are very cosy, but they keep your foot moderated. We’ve experienced a remarkably warm September but I could still wear these comfortably. As a parent driving is a necessary part of my everyday life, if I can’t drive in a shoe/boot safely then it will never see daily use. Despite the incredible cushioning of the sheepskin I found that I could more than adequately feel my foot and the pedals of the car. These boots do not need breaking in! I feel tempted to write that again it’s such a rare quality in footwear. The Robyn boots were comfortable to wear as soon as they came out of the box. Over the last few weeks they’ve moulded slightly to my own foot shape but the comfort was there instantly. I’ve worn the Robyn boots for several weeks now to give them adequate testing but only time will tell on their true longevity. Right now they still look as good as new and I’m very impressed with the quality of the sheepskin and stitching. They feel truly crafted. I am complete and utter sheepskin convert! Finally I understand the devotion attached to all variations of these wonderful boots, they are so warm and comfortable that once you’ve owned a pair you’re unlikely to turn back. I have received many compliments on them even from non sheepskin boot fans. Would I recommend the boots? At first it may seem daunting that they’re shipped all the way from New Zealand but they arrived so swiftly that I’d have no hesitation in recommending the store. The quality and service is second to none and the Robyn boots themselves reached so far beyond my expectations that I couldn’t do anything other than recommend them. 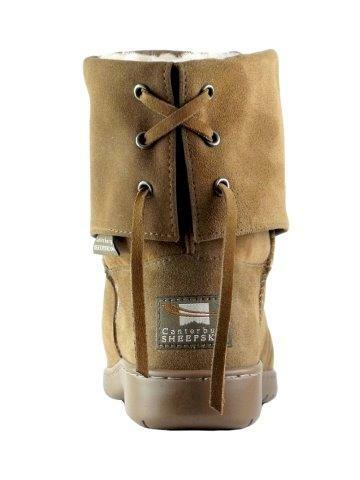 To view Canterbury Sheepskin’s full range of sheepskin products click here.